As a young child, Shokoufeh Mirzaei was initially terrified of airplanes. Growing up on Air Force Bases in Iran, she would routinely seek shelter underground as air raid sirens went off. However, that fear soon turned to admiration and a desire to fly. 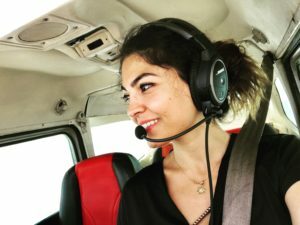 Immigrating from a country where it was formerly impossible for young woman to become pilots, Shokoufeh’s piloting dreams were put on hold for many years…until now. resources and camaraderie between people of different countries”. 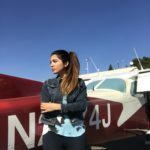 These two student pilots shared a determination and tenacity that paint a clear picture of their potential impact on general aviation. 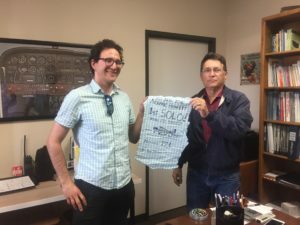 The committee for the 3rd annual Get into the AIR scholarship whole heartedly decided that two scholarships must be awarded this year to both deserving future pilots. Applicants were judged on essays and recommendations letters that best portrayed the pilot’s goals, drive, and commitment to the aviation industry. The competition was fierce, and AIR was impressed by all the applicant submissions. 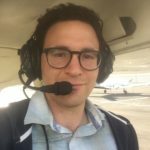 The Get into the AIR aviation scholarship will be available again in 2019.